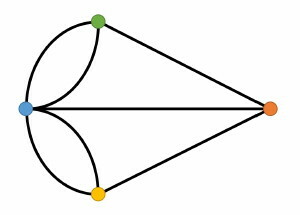 ● Lines join things and places, and pondering on those relationships leads to graph theory (which is related to the image at the left). ● Lines separate regions and spaces, and enquiring about these leads to polynomials. ● Lines have two ends, and lines themselves can be counted. Paying attention to these matters leads to graph theory, combinatorics, etc. ● Lines can be straight or curved, and analysing those properties can lead to geometry, graphing and trigonometry and calculus. ● We can find patterns in the way that lines are linked; there can be rules governing when and how they are joined. 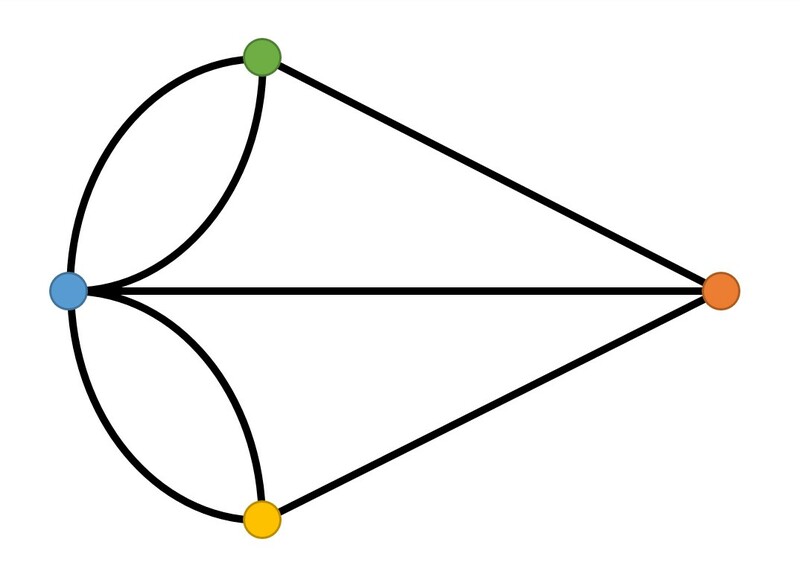 Once you draw a line, and then a second one, mathematicians naturally ask questions about the relationships between the lines. They may even wonder whether those lines drawn so easily on a two dimensional surface may not, in fact, represent some three (or higher) dimensional relationships. So, draw lines and ask questions about them. They can lead you on a great journey of discovery! I hope the items that I add here will help you on your way. How many different ways are there of doing something? This is a reasonable question to ask of many activities in life. In this case, we ask how many different ways one can get from one point to another on a grid under certain conditions. This involves drawing lines. There is a whole class of puzzles dealing with routes from one location to another. Although the setting often varies (e.g. the number of taxi routes from one intersection to another across town), the principles are generally the same. In this video, I discuss the number of different ways that the word CRYSTAL could be traced out on a 'diamond' grid. I then analyse the number of paths across a chessboard. This delightful type of puzzle introduces us to Pascal's Triangle, a wonderful mathematical structure. It appears to be so simple in structure, but the mathematics that it opens to us is extraordinary, elegant, and profoundly useful in many fields of mathematics. In time, I intend to produce a series of videos about this triangle but, in the meantime, I encourage you to Google the term (and Google Blaise Pascal as well) and go exploring! Once you understand the principles that I explain in this video, you may wish to print out a map and determine how many different routes there are to get to work or school each day. 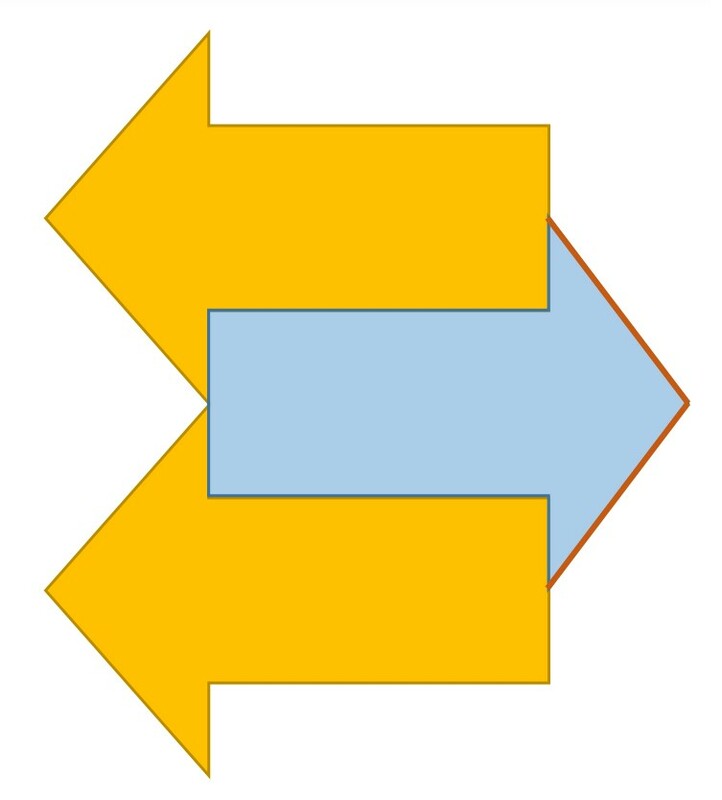 Your condition may be that you must never take a turn that will take you to an intersection that is further from your destination than where you currently are. You may find the results surprising! I just discovered that there are 30 different direct routes I could take to the supermarket parking lot just 3.2 km (2 miles) away. In this video I discuss another class of puzzle ... that which deals with the number of different paths to a given point. The setting for the puzzle varies (e.g. the number of taxi routes from one intersection to another across town), but the principles are the same in each. 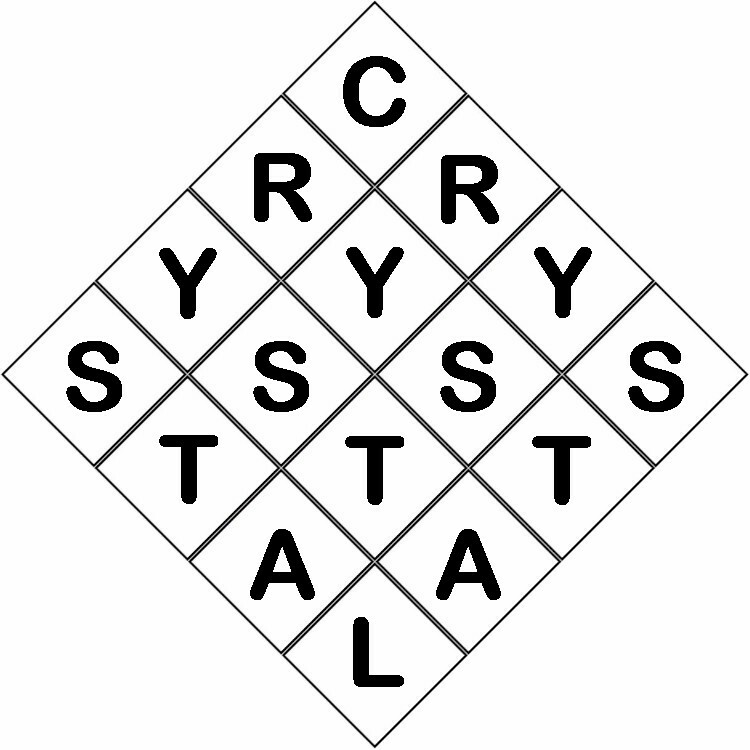 I discuss the number of different ways that the word CRYSTAL could be traced out on a 'diamond' grid and then the number of paths across a chessboard. This delightful type of puzzle introduces us to Pascal's Triangle, a wonderful mathematical structure. It appears to be so simple, but the mathematics that it opens to us is extraordinary, elegant, and profoundly useful in many fields of mathematics. In time, I intend to produce a series of videos about this triangle but, in the meantime, I encourage you to Google the term (and Google 'Blaise Pascal' as well) and go exploring! Please watch and enjoy (and learn)! 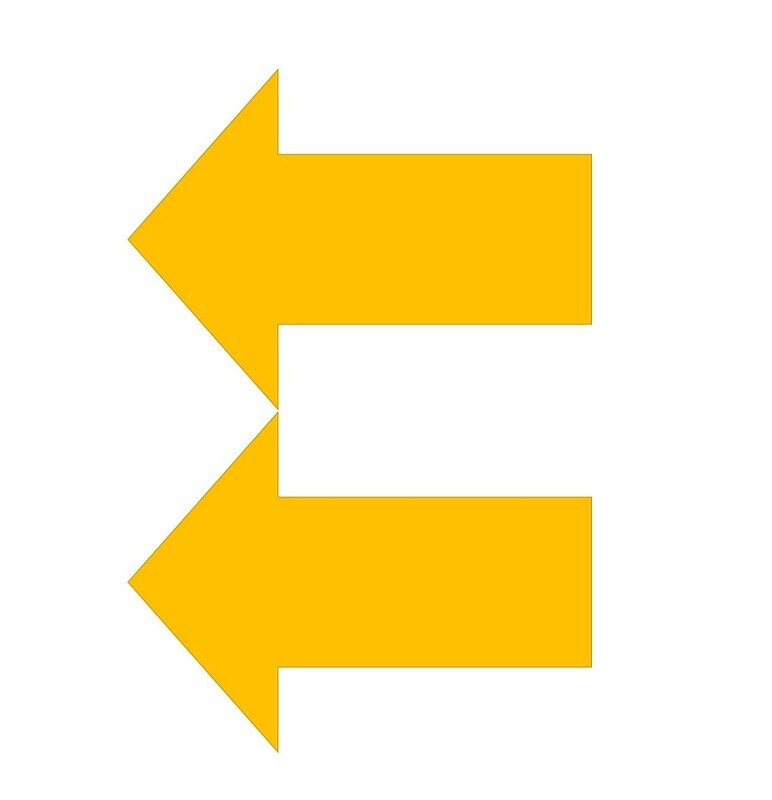 Your challenge is, using only two straight lines, to make a third arrow. This is a case where drawing lines will complete (or start) a pattern. When you have your solution, you may compare it with mine. 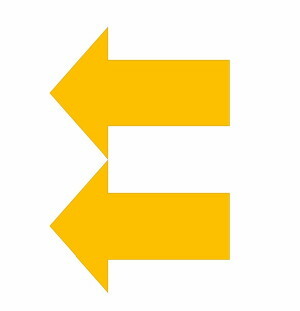 You might also like to find the hidden arrow in the logo for this very famous transport company.